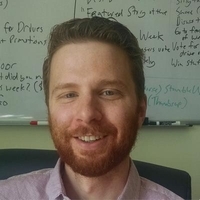 Chris has been involved with the Taxi industry since co-founding TaxiFareFinder.com in 2007, and has been an avid follower of the rideshare industry since its inception. An expert in full-stack web design and development, Chris oversees all the technical aspects of Unleashed's innovative products. Wanna tip your Uber driver? Uber won't let you be too generous with it. Are autonomous cars good for riders? 8 hours ago in Lime working to prevent drunk scooter driving. This is going to lead to a lot of really trashed scooters 😂 Just imagine the rage it will throw drunk people into when it just suddenly stops. 1 day ago in Wow. Uber’s self-driving car unit may be worth $7.25 billion. Bingo. 7.25B is ludicrous. But of course lots of people will fall for the hype - including people who should know better. I don't think lighted signs really help. It's an inferior solution to the one that already exists: check the make/model/color and license plate # when the car pulls up! Uber and Lyft both make this information readily available in the app. This bill has its heart in the right place, but I think the effort would be better spent on a public service campaign to get people into the habit of checking the car info when it pulls up. As LG-PA pointed out lighted signs are easily spoofed. FWIW, at RideGuru we are actively working on adding more limo companies to our fare calculator. We have found that advanced booking is a point of anxiety for many users, and it's a service that limo companies fill perfectly well. 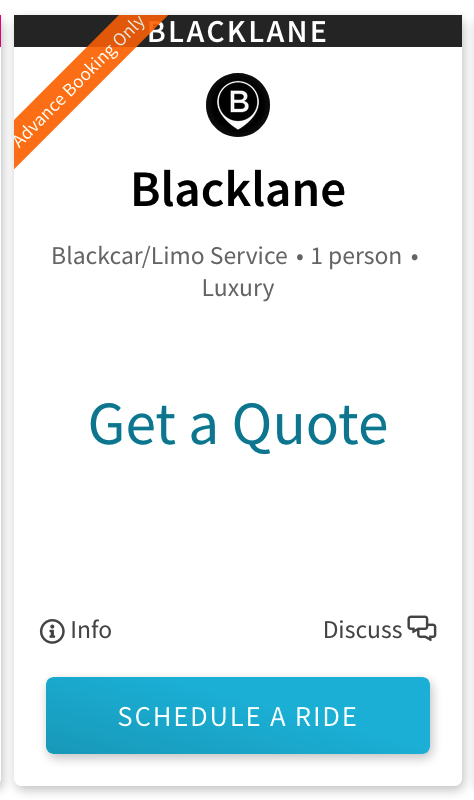 Many limo companies offer APIs with quotes for airport rides (etc), which means we can offer accurate pricing. For the near term we will send you to their website where you can book the ride through them. Longer term, we hope to actually offer booking directly through RideGuru. Look for it on our fare calculator over the next few months as we roll these out bit by bit throughout the world. $250 a weekend seems really steep. You can buy a brand new car and have a monthly payment around there. Or lower. If you lease a car it would be even lower but I assume most lease agreements would prohibit rideshare driving. Even if they didn't you'd blow through the mileage limit super quick. If there was a way to book limos in advance via an app (that is, a guaranteed booking), as easily as Uber, would you use it? 2 weeks ago in On-Demand moving and delivery — Seinfeld? Upvote for seinfeld. 20+ years later still funny and relevant. I'm curious how phlatbed is going. Where are you seeing the most usage? I'm past the stage in my life when I'm moving a lot and would really use this, but when I was in my 20s it would have been really useful. It's probably a bit more than that since chargers are not 100% efficient. And, the cost of electricity varies between different locations, so take this with a grain of salt. But it's safe to say the electricity cost of charging these things is not something to worry much about. Nice website. I am definitely curious on the cost of electricity to charge these. Obviously the cost will vary depending on where you are, but just a general idea. I pay my electric bill each month but I really have no idea how much it would cost me to juice one of these things up... $1? $5? Anyone have a rough idea? 3 weeks ago in Uber plans to kick off IPO in April! 3 weeks ago in Real. Or Not? I wouldn't want to ride in this... I want to drive it... Taking that uber would be the biggest letdown in the history of ubers. His t-shirt was a cry for help. What is the point of this?? I thought the purpose of surge pricing was to encourage drivers to go to areas that need more drivers. Now that incentive is gone. So this seems like a boneheaded move on Uber's part! j/k. this guy is clever. 2 months ago in Will Uber and Lyft raise fares? Will they merge? Your opinions/thoughts?